Kira Bennett's earliest memories are of living alone and wild in the woods. She has no idea how long she was on her own or what she had to do to survive, but she remembers the moment that Cady Bennett and one of her search-and-rescue dogs found her. Adopted into the Bennett family, Kira still struggles with human interaction years later, but she excels at the family business: search-and-rescue. Along with Cady's son, Jude, and their neighbor, Free, Kira works alongside Cady to train the world's most elite search-and-rescue dogs. Someday, all three teenagers hope to put their skills to use, finding the lost and bringing them home. 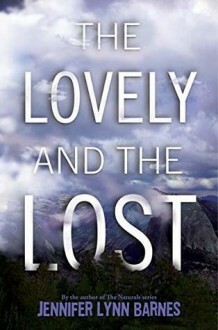 But when Cady's estranged father, the enigmatic Bales Bennett, tracks his daughter down and asks for her help in locating a missing child—one of several visitors who has disappeared in the Sierra Glades National Park in the past twelve months—the teens find themselves on the frontlines sooner than they could have ever expected. As the search through 750,000 acres of unbridled wilderness intensifies, Kira becomes obsessed with finding the missing child. She knows all too well what it's like to be lost in the wilderness, fighting for survival, alone. But this case isn't simple. There is more afoot than a single, missing girl, and Kira's memories threaten to overwhelm her at every turn. As the danger mounts and long-held family secrets come to light, Kira is forced to question everything she thought she knew about her adopted family, her true nature, and her past.